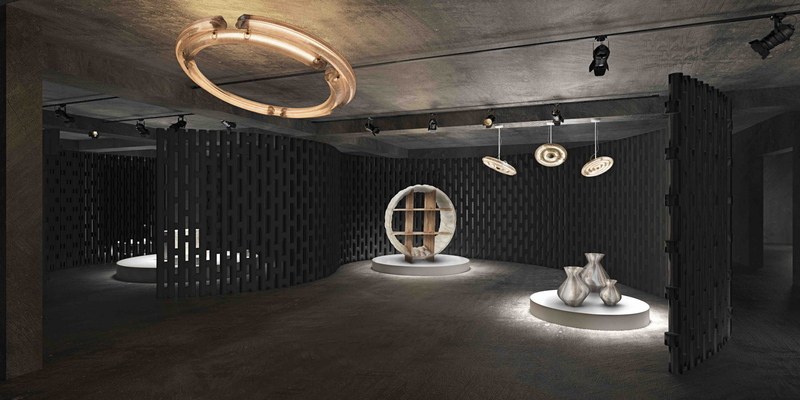 During the annual London Design Festival running in September 2018, the London Design Fair presents its second Material of the Year event. During the annual London Design Festival running in September 2018, the London Design Fair presents its second Material of the Year event. This year's material of the year is plastic, whose days seem to be numbered but which could also pave the way for new opportunities. The London Design Festival is about to commence, and it encompasses a wide range of initiatives, including the London Design Fair launched in 2007 and set in Shoreditch, the creative heart of London. The London Design Fair is a four-day industry event that brings together 500 exhibitors from 28 countries, including independent designers, established brands, international country pavilions, features and exhibitions. This is the backdrop for the second Material of the Year event (following last year’s celebration of Jesmonite™). With this year's event called Plastic. Beyond the Chipper, the London Design Fair is shining its spotlight on the most controversial material in contemporary making, the bête noire of the modern material world. One way of addressing the problem is to reduce plastic use in design; another is to reinvent it. Four design studios were selected to create and present work from the vanguard of innovation in plastics – demonstrating new techniques, processes, technologies and material compositions that reduce or eliminate plastic’s negative environmental impact. These designers aren’t simply breaking down and reforming existing plastics from chippings; they’re venturing “beyond the chipper” and conventional recycling measures to create new materials and explore innovative solutions. Ranging from Tokyo-based Kodai Iwamoto who transforms plumbers’ piping into elegant sculptural vessels, to Brighton’s Weez & Merl, who have developed a method of turning waste carrier bags into beautifully patterned table-tops to Charlotte Kidger and Dirk Vander Kooij, each of the designers is tapping into the waste streams of mass plastic production to introduce value and meaning to the world’s most reviled substance. Showing in Hall 13 of London Design Fair at the Old Truman Brewery, the Material of the Year exhibition has been designed by the artist and architectural designer Ioanna Lupascu of Ortie Studio who fittingly uses an innovative example of sustainable plastic for the set-up. This exhibition, therefore, addresses the problem of plastic as a new opportunity, a chance to revisit the material and to develop ecologically sustainable processes and technologies in order to reimagine plastic for the modern world.